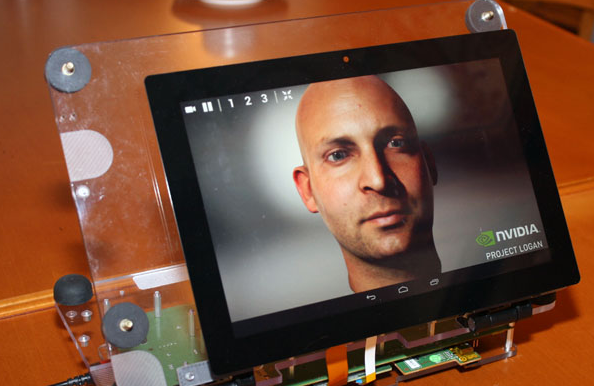 Nvidia’s Tegra is moving up in the Graphics World at an incredible pace, with Tegra 5 employing a Mobile Variant of the Kepler Architecture, the mobile graphics solution is quickly growing to rival current day graphics. 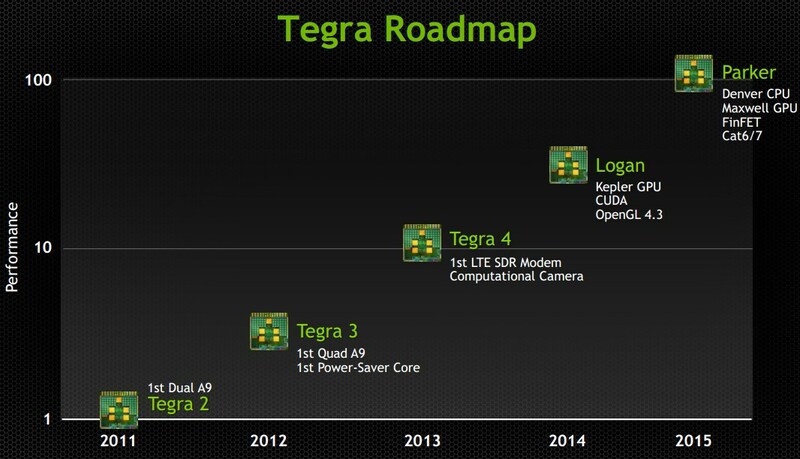 Nvidias Tegra 6 aka Project Parker will be the Powerhouse behind the 64bit Androids of 2014. Tegra 6 will be based on the Mobile Variant of Maxwell Architecture and will feature complete 64 Bit Support. After the iOS 64 Bit Gimmick Release the rest of the mobile industry is quickly pursuing the 64 Bit Mobile Industry Standard. Even though why they would be pursuing 64 Bit when our current mobiles never support more than 2 GB of Ram (64 Bit is needed for 4 GB +) is beyond us. Follow the flock i guess. Anyways the Nvidia Tegra 6 ‘Parker’ will also feature the Denver CPU. Now heres the interesting thing, our previous reports had indicated that Denver wont be released before 2015, but if Parker is being released sometime in 2014 than Denver is also being released in 2014 naturally since Tegra is a SOC without Denver it is useless. Even more interesting is the fact that since Tegra 5 has not yet been fully released if Parker is coming by 2014 it means that Nvidia is Deliberately cutting the life of Tegra 5 Short? Why. Our Hunch says that Nvidia is basically trying to put itself ahead of the curve by sacrificing one of its products (Logan) for the Next Gen. Also If Tegra utilizes the 64 Bit Standard correctly and maintains a high enough TDP than its performance might as well Rival* current Gen Consoles. Those of you whose observational power is high enough to notice the * heres why: When comparing Mobile and Desktop architectures don’t take sheer graphical power but the ability to create complex effects. A Console’s Raw Graphic Power with an incredibly High TDP will always be more than a Minute TDP Mobile Graphics Variant.